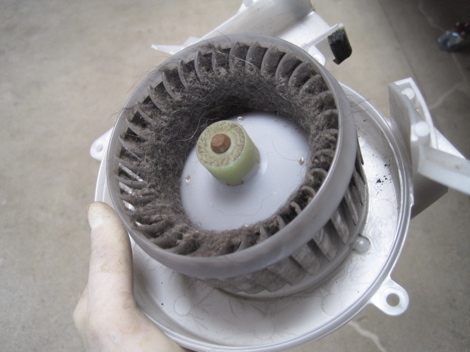 The second generation Prius, model years 2004-2009, does not have a filter for the battery cooling fan, and this is a problem. Instead the fan itself becomes the filter, located upstream of the battery, collecting particulates over time. Because it is not a service item (i.e. never checked) the fan eventually clogs. This causes battery overheating and premature failure. Common on taxi cabs, which are running 24/7 in harsh conditions with lots of backseat passengers (where the fan intake is located), the HV battery typically dies by 150,000 miles. As with all our taxi experience, these problems are now showing up on Prius in regular use. We have seen one fan clog (setting a battery overheating code P0A82, with temps up to 130 degrees) in a car that regularly transports two big Bernese Mountain Dogs. The trouble code set at 120,000 miles. The battery is still in use. We recently had our very first HV Battery failure in a second gen Prius, model year 2005, at 152,000 miles. 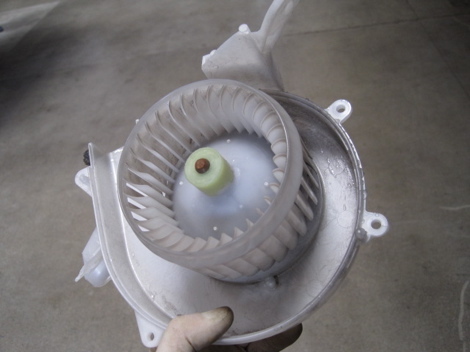 I suspected a clogged fan (since we have seen many second generation Prius go much farther than 150k with no battery issues whatsoever); upon inspection it turned out to be clear. 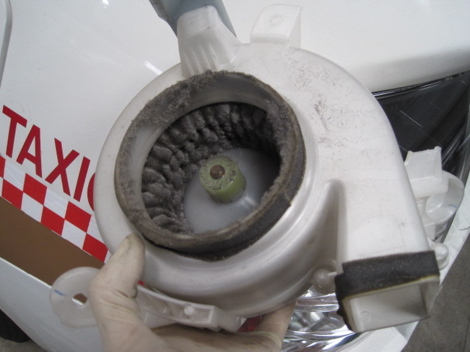 Nevertheless these two events spawned a shop conscience on battery fan cleaning, since the fan is the only service item that can affect pack life. After speaking with other Prius techs in the field, and based on our experience with taxis, a 60,000 mile interval was chosen. We are therefore changing our “Every 30k Mile Service” to a 30/90k, and combining battery fan cleaning with the regular 30k to make a 60/120k Mile Service. 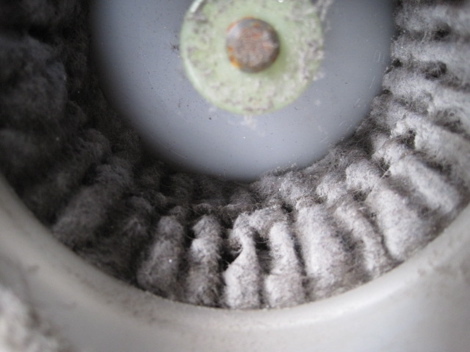 We can obviously clean the fan at any time, as an “a la carte” service, for $60. Likewise this service item increases the 30k mile service by $60, from $287 to $347. To book an appointment or for questions, click here for the contact page.